Images from the MillerCoors v. Anheuser-Busch lawsuit. 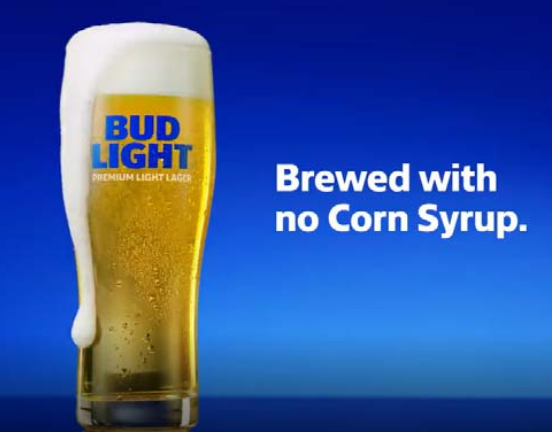 MillerCoors is asking a court to order the maker of Bud Light to stop running ads implying that Miller Lite and Coors Light have corn syrup in their beers. In a March 21 lawsuit, MillerCoors alleges that Anheuser-Busch singled out MillerCoors’ use of corn syrup “for a deliberate and nefarious purpose”—to frighten consumers who were likely to think high-fructose corn syrup was in their Miller Lite and Coors Light beers. Courthouse News Service, the Chicago Tribune, the Washington Post and the Des Moines Register are among the publications with coverage. The suit, filed in federal court in Madison, Wisconsin, alleges false advertising and federal trademark dilution. Besides an injunction that would block the ad claims, the suit also seeks corrective advertising and trebled damages based on Anheuser-Busch’s gains from the campaign. In reality, the suit says, corn syrup is used as a fermentation aid, and it is broken down and consumed by yeast. There is no corn syrup in the finished product, nor is there any high-fructose corn syrup used at any stage of the brewing process. Incidentally, the suit says, Anheuser-Busch uses corn syrup to brew a variety of its products, including Stella Artois Spritzer. And it uses high-fructose corn syrup in some of its malt beverages, the suit says. Anheuser-Busch spent more than $13 million in Super Bowl ads to mock Miller Lite and Coors Light for using corn syrup, according to the suit. 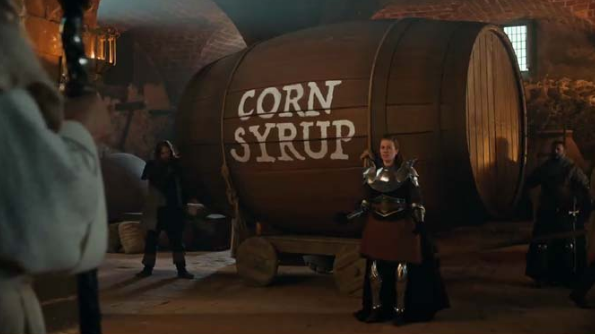 One ad that aired in the first quarter of the Super Bowl features the Bud Light King rejecting a delivery of corn syrup because it is not used in making its beer. The king directs that the barrel be delivered to Miller Lite. When the corn syrup arrives, a man at the Miller Lite castle says its shipment already has been received, and the barrel should be taken to the Coors Light castle. The shipment is accepted at this third location. That commercial, along with other advertising, used MillerCoors’ trademarks to denigrate and malign Coors Light and Miller Lite, the suit says.